This weekend we had some adventures. I went scuba diving for lobster and managed only to find a female "bug" carrying a huge sac of eggs so we had to put her back. I found instead a giant conch. I have been wanting to try conch since its a well loved local dish and better yet, I have wanted a conch horn for sometime! 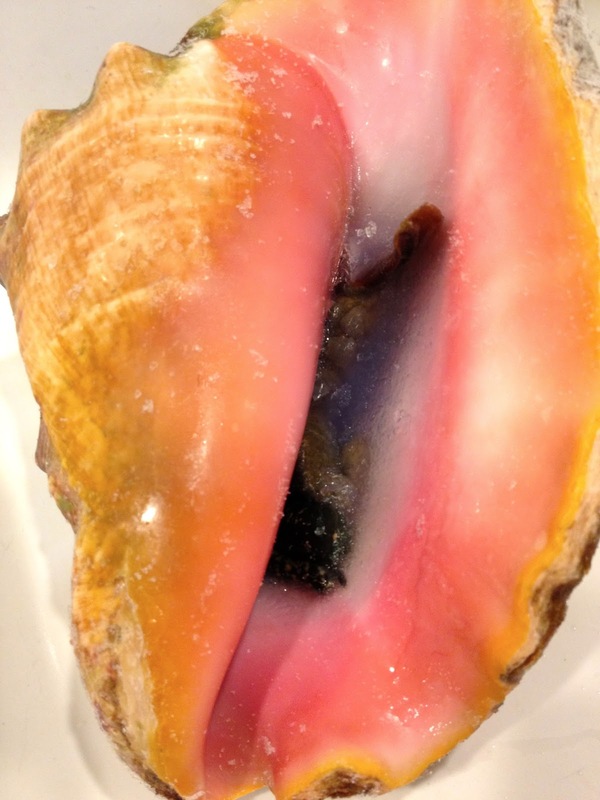 The first order of business with a conch if you want to extract the critter and keep the shell intact is to freeze the whole shell. This kills the critter and keeps the shell in tact. 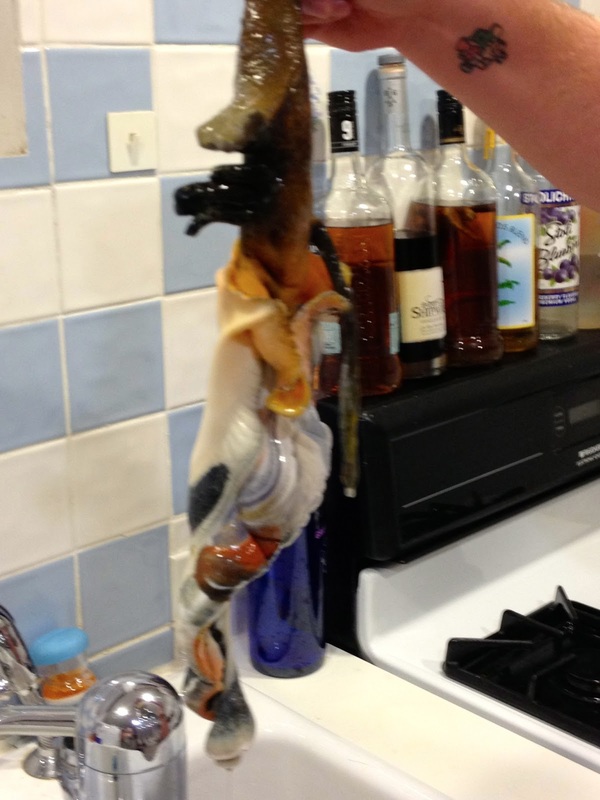 You can then just pull out the critter once you thaw him again and viola, a critterless conch shell. 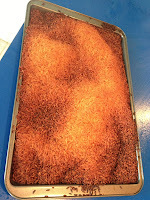 To my surprise, the critter inside is a bit disgusting looking (see below). Anyhow, from there it was soaking the shell overnight in bleach to clean out the extremely stinky remains of this poor guys former home. 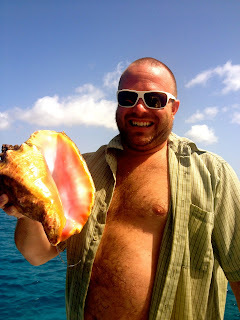 The next day, with barely containable excitment, I headed over to my friend Paul's house and we took a grinder to chop off the end of the conch and then drill out the opening so that you have about a dime size apature to blow in (your lips need to be able to vibrate inside it). Check out the video, its sounds awesome! 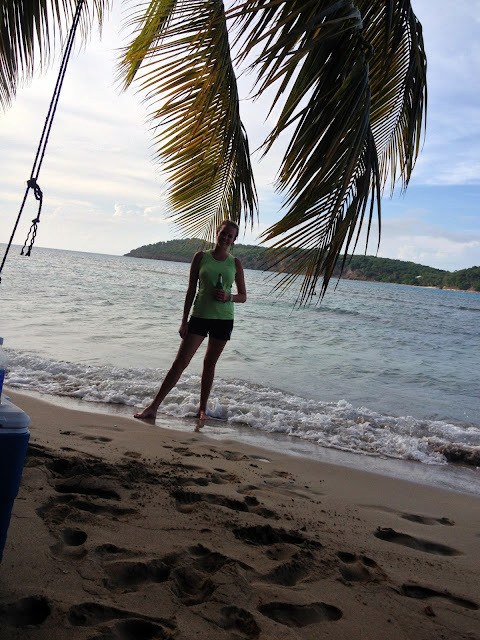 Finally, we decided to head to the beach and take in some sun and have a nice quite dinner. On the way, we found some interesting things. An abandoned campsite complete with spongebob decor and cows on a leash! Now, spongebob is odd, but a cow on a leash? We ran into someone and inquired about the cows, indeed, this is how some people farm cows on the island. Since there are no pastures, the farmer ties up the cow up and down a road and the cows eat the grass. He drives around and waters them and moves them and provides a much needed lawn mowing service and raises cattle without a stich of land. Pretty resourceful if you ask me! Well at the beach, we decided to give puzzling a try. 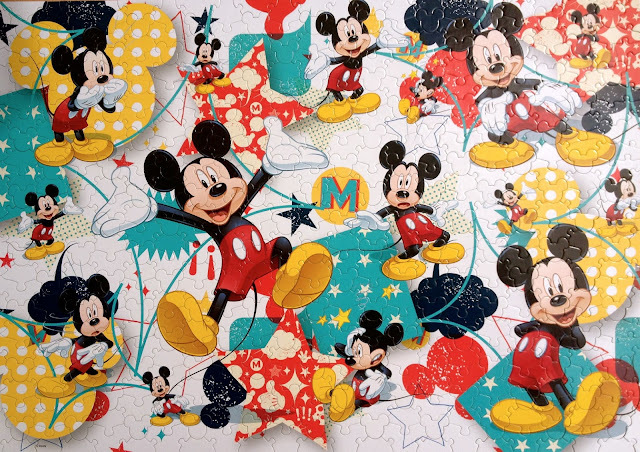 We brought the 500pc Mickey Montage Challenge puzzle from Mega puzzles. I had pretty low expectations. I don't like the picture and its Mega puzzles. I was plesently surprised. The pieces fit well, laid flat and since the puzzle only has about 8 piece shapes that interchange and an image that repeats with variation, the puzzle gave a bit of initial challenge The last half of the puzzle was easy (due to the piece count) and the puzzle itself is about a 5 on the difficulty scale. Is that a cow on a leash? Sure the hell is! Now that is a lawn mower! I think he is saying, hey, I want to do a puzzle, come back! We tackled the Mickey Challenge. Not much of a challenge but a neat puzzle nevertheless.